Modern construction technologies as a walling material are increasingly offering blocks of various materials instead of bricks. 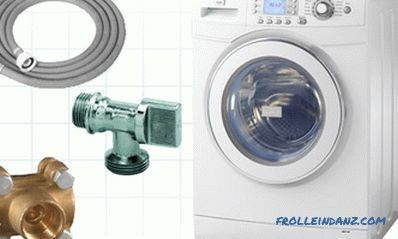 They differ in size, properties and price. 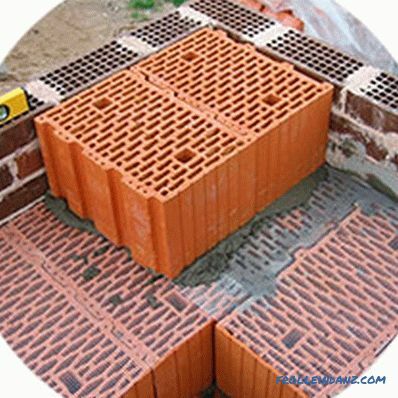 Each type of block has its own sphere of preferred application, but all of them are capable of replacing bricks, both in residential and industrial construction. In order to choose the right blocks, which in each particular case will show only their positive characteristics, it is necessary to compare them by the main parameters. Physical and chemical properties of materials determine their behavior in the wall under load and in many respects affect the microclimate in the house. 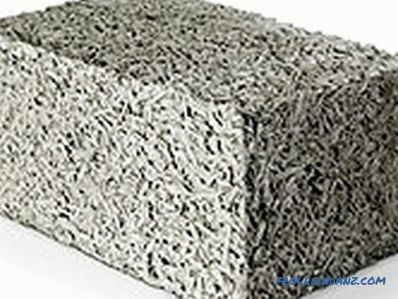 The article will discuss the main types of blocks that are used in private and industrial construction: aerated concrete; foam concrete; ceramic; arbolitovye; expanded clay. The analysis will concern not only the properties of a particular block, but also their interaction with other types of building materials, the complexity of the preparatory and finishing works, the need to strengthen the structure, and the useful life. An attempt to determine which blocks are best for building a house will be based only on objective data, without a bias in advertising of one kind or another. One of the most common types of cellular concrete . Differs closed pores, resulting in a very weakly absorbs moisture. 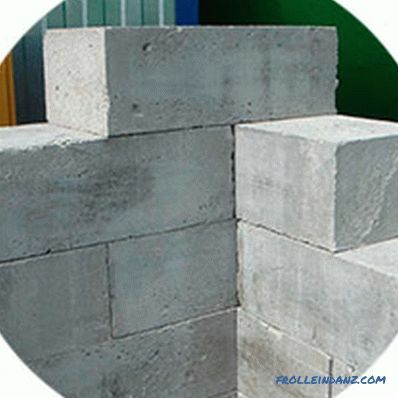 In the production of blocks used natural materials - lime, Portland cement, water and quartz sand. In the role of the blowing agent used aluminum powder. After mixing the components in a certain proportion, the raw materials are placed in molds and loaded into autoclaves, where they are exposed to water vapor under high pressure. There they harden for a certain time and acquire their main properties - dimensional accuracy, low weight, rather high density. 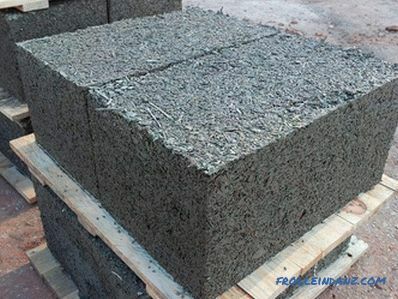 In addition to autoclaving, the blocks can be made from the same material by natural drying in the open air. By their parameters, they are much inferior to the first. Their differences consist in compressive strength, thermal conductivity and density. The dimensions of the blocks are 600x200-300x80-400 mm (LxHxC). The shape of the blocks may be different. For the construction of bearing walls, blocks with a groove / ridge surface relief are used. Partitions and secondary walls are constructed from ordinary rectangular blocks with smooth edges. U-shaped are used for mounting armpoles and lintels above door or window openings. A type of cellular concrete. 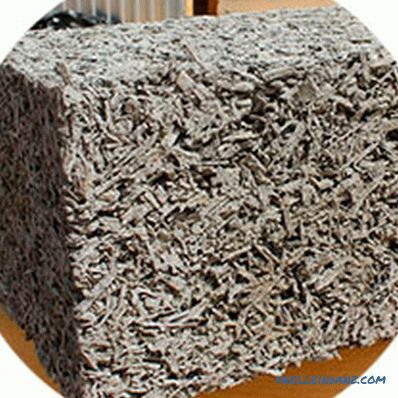 It is made from sand, cement and water with the addition of blowing agents. In the form of loose foam, raw materials are poured into molds for ready-made blocks or in large-scale formwork structures. 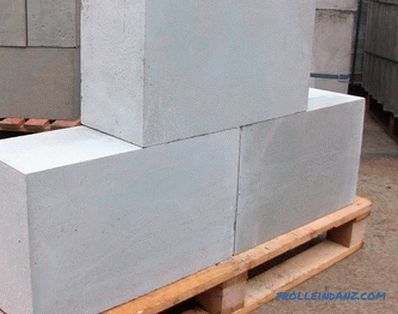 After solidification within 10-12 hours, folding forms open and foam blocks are removed for further curing. If the blocks are produced using cutting technology, then the massive block is kept for several hours (4-10) in the formwork, then it is removed and the workpiece is cut into smaller blocks of the corresponding sizes with special steel strings, chain or band saws. 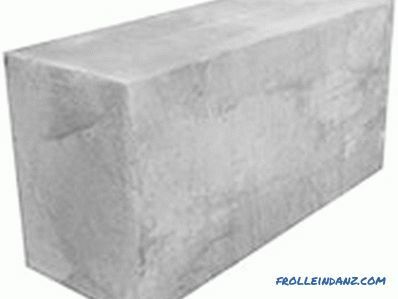 By its density of frost resistance, foam concrete can be compared to aerated concrete, but it is inferior in strength and accuracy of forms. By their properties, they are suitable for the construction of houses no higher than three floors. But in monolithic reinforced concrete construction to fill the openings between the supporting parts of the frame, foam concrete is in great demand because of its lightness. They are made from the same material as ordinary brick - clay and water. The blanks are burned in furnaces and get the desired hardness. But with a much larger size than a regular brick, the blocks are almost twice as light. 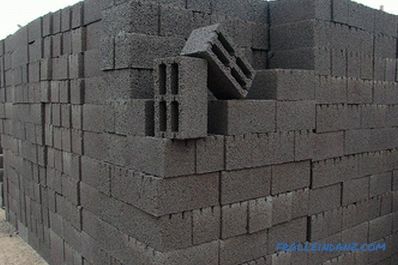 This is determined not only by the fact that the block has through voids, but also by the fact that the clay is mixed with sawdust or other combustible material when preparing the raw material. In the process of firing impurities burn out and the material becomes porous, and, therefore, easier. 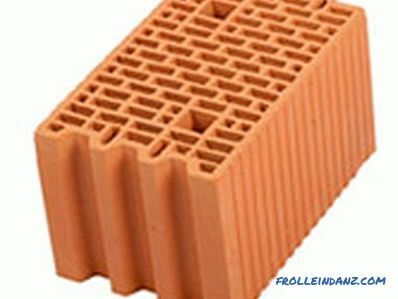 The standard dimensions of the ceramic block are 250 - 510x250-380x219 mm. Large sizes allow masonry to double or even three times faster than brick. Lighter walls can save on the foundation, and the porous structure - on the insulation. Houses of any number of floors are built from ceramic blocks. Here the material is used for external and internal load-bearing walls, partitions, filling openings. 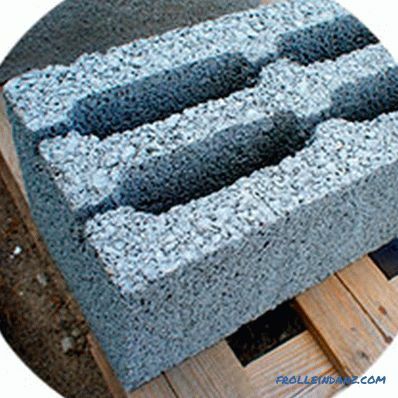 Another type of block, relatively little known to non-specialists in the construction business.According to its technical essence, arbolit is a large-celled concrete in which such seemingly incompatible materials as wood and cement are combined. In the production of wood chips mixed with cement-sand mixture, diluted to a semi-liquid state, and poured into molds. 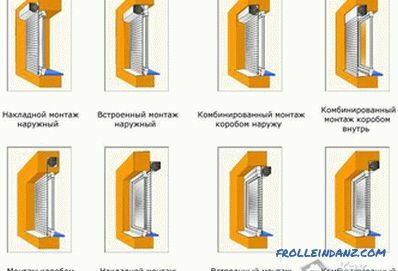 For the construction of buildings, blocks of the standard 500 * 300 * 200 mm are used, but other sizes can be found on sale - they are regulated by GOST 19222-84, but many manufacturers produce blocks according to specifications developed at the enterprise . But well-known plants tend to produce material in a standard size, or a multiple of it - this facilitates and speeds up the process of building walls. For the production of blocks, chips of 40 * 10 * 5 mm (maximum) are used. Some unscrupulous producers use bark, shavings, straw together with wood chips, and even instead of it. But such blocks do not meet the requirements for wood concrete and can be used except for the construction of economic structures. 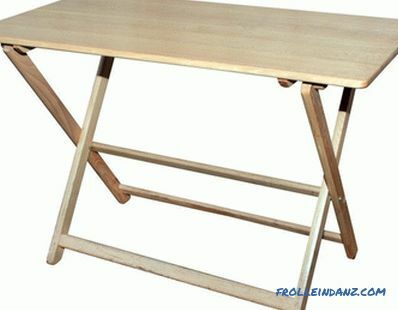 In addition to the main raw material in wood concrete, various chemical additives are used to increase the strength and water resistance of products. 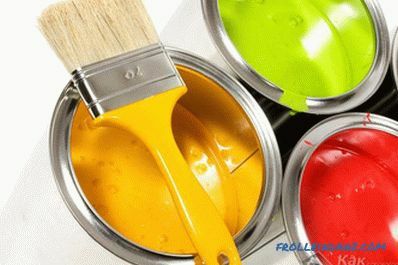 These additives neutralize the compounds present in the wood that prevent the cement mortar from sticking to the chips. As a result of chemical treatment, wood receives an adhesion level to cement as well as gravel or gravel. In the industrial production method, the mixture is poured into molds and compressed using a vibratory method. With accurate dosing of components and the correct choice of the mode of vibration, the blocks are uniform in density throughout the volume. According to this parameter, two types of wood concrete are produced - structural, with a density of from 500 to 850 kg / m3 and heat-insulating, unsuitable for bearing structures. Its density is in the range of 300–500 kg / m3. 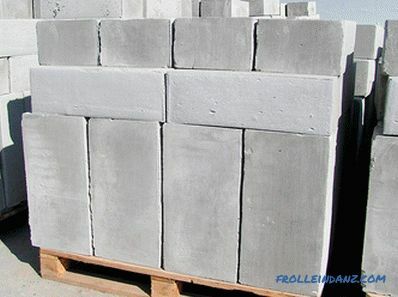 Wall blocks are made of expanded clay concrete by vibration casting into ready-made molds. The raw materials are cement, expanded clay and sand or dolomite. The classic block, made according to GOST 6133-99, contains up to 50% of expanded clay and about 50% of cement. 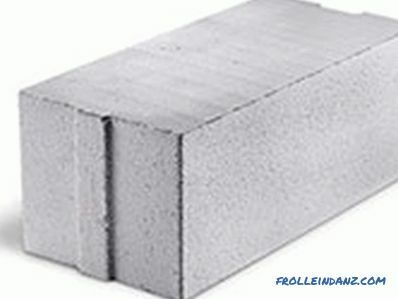 Such blocks are used for the construction of walls and partitions, filling the openings of frame structures. The block sizes are 390x190x185 mm or 390x190x90 mm, which allows construction to be carried out very quickly. 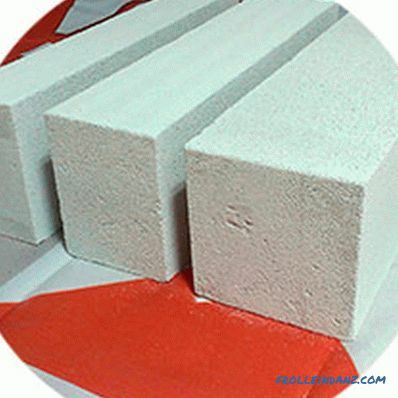 The cavities inside the blocks act as stiffeners, reduce weight and increase heat-saving properties. One of the walls, perpendicular to the direction of the cavities, is solid, which allows to reduce the consumption of the solution, laying the blocks in the wall with the holes down. Depending on the fillers and proportions of expanded clay / cement, the standard unit can weigh from 9 to 21 kg, density - from 500 to 1800 kg / m3. Blocks are used in the load-bearing walls of houses up to 3 floors only with the installation of arm-belt and reinforced concrete. But the main scope of application - partitions, filling frames, fences, fences, outbuildings. All types of wall blocks can be used in construction, observing certain restrictions inherent in one or another of their types. In order for the picture, from which blocks it is better to build a house, to become clearer, it is necessary not only to tell about each type separately, but also to make a comparative analysis of them according to the main parameters. Strength is the ability to withstand external physical effects on compression. The main indicator - the brand. It shows the ultimate load in kg / cm 2 that the material can withstand before the onset of destruction. For example, M-175 indicates that a load of 175 kg / cm 2 can cause material damage. For comparison, the brand of bricks in high-rise buildings should be at least M150, in single-story buildings it should be M100. Of the blocks, claydite-concrete have the greatest strength. The only problem is that these blocks are often manufactured in artisanal conditions and, due to economy, not all manufacturers can provide the specified strength. Frost-resistance Mrz is indicated by a number that indicates the number of cycles of complete freezing and thawing of the material, which it can withstand before the destruction of the internal structure. As a rule, the material in the wall does not completely freeze even in severe winters, therefore the indicator can be considered relative. Mrz 35 level is quite acceptable for middle latitudes. Most varieties of blocks correspond to this indicator. Density is the weight per unit volume of material, measured in kg / m 3 . The parameter is important in that the pressure of the wall on the foundation depends on it, and, therefore, the need for a less or heavier foundation. As a material for the construction of load-bearing walls, it is best to use blocks with a density higher than 800 kg / m 3 . On the one hand, the higher the density, the better the strength of the material and the walls built from it. But density has a downside. The higher it is, the greater the thermal conductivity of the material, and therefore more money will be needed to warm the house. Thermal Conductivity - shows how fast the heat flux is transmitted through the thickness of the material. The higher the thermal conductivity, the less heat it can keep in the house and the thicker the insulation must be installed on the walls. The warmest materials are aerated concrete and foam concrete. Almost all types of blocks have both insulating and structural, and structural variants of execution. The scope of each species is different. This parameter indicates the ability of the material to absorb some moisture. If we compare with a brick, then this indicator for all types of blocks is not at the highest level. That is why walls built from all types of blocks need exterior decoration with facade materials. But, even after comparing the data in the table, to make a final conclusion about which types of blocks are best for building a house, it is necessary to take into account such an important parameter as the cost of the whole process. At the same time, it is necessary to take into account such significant items of expenditures as the cost of the foundation, insulation, reinforcement, and external finishing. Sometimes cheaper units are much more expensive with a full calculation of the cost of their purchase and the cost of installation and additional operations. It is possible to determine from which blocks it is better to build a house, having studied all the technological processes of their installation and the phenomena occurring in the wall after erection. For example, rarely attention is paid to such an important thing as shrinkage. 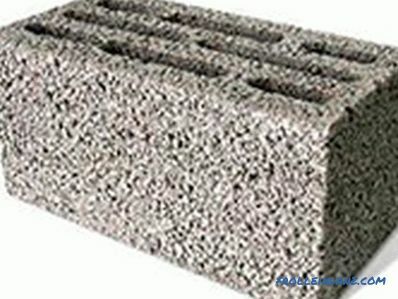 Among all the above materials, the walls of aerated concrete and foam blocks are most susceptible to this rather unpleasant, but predicted phenomenon. 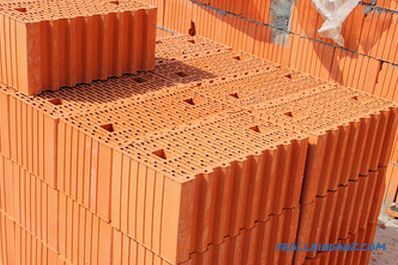 Virtually no shrinkage of expanded clay concrete and ceramic blocks, which in this parameter are equal to conventional brick. Arbolite has a very low degree of shrinkage, but only if it is really of high quality.This parameter is determined by the properties of the material, but if you violate the technology of laying, then shrinkage can be expected from any material, until cracks appear on the walls. According to the type of foundation required for the construction of a low-rise building, all blocks need tape monolithic foundations of medium depth. This is one of the most economical foundations, given the cost of its installation in relation to strength and durability. 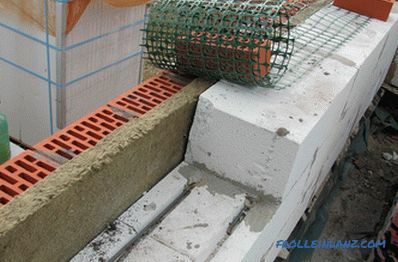 If you build walls of foam concrete blocks and wood concrete with a thickness of up to 40 cm, then you can make a grillage foundation on screw piles. But this type of foundation must take into account the appearance of the exterior. If it will be made of face brick, then the foundation, nevertheless, must be made of a ribbon or pour solid concrete slab. When laying walls, mesh is reinforced using all types of blocks, armor belts are poured under the entire perimeter, and standard factory lintels or cast concrete are laid over the window and door openings. 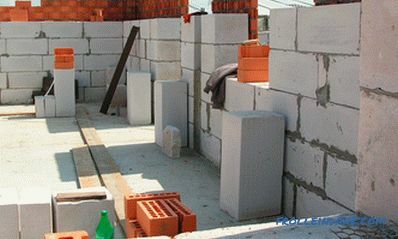 Construction of blocks as compared to brick construction is faster, even taking into account the time spent on additional operations in the form of reinforcement of masonry. One of the most costly operations. It uses almost all known options - from the "wet" facade with insulation, to ventilated and brick cladding, siding, clapboard. Gas-blocks and foam blocks, when installing an exterior finish, require a ventilation space - high vapor permeability of materials requires removal of excess moisture from the wall. Ceramsite concrete and ceramic blocks are best in harmony with brick facades and plaster; they most closely match these materials both in physical and chemical characteristics and in application technology. It is obvious that the use of blocks is beneficial in any case - except for winning money, they give a double advantage in construction time, which also turns out su ety savings.